Are you a woman in ministry? Then membership with womensministry.net may be for you! Each week, we release new content, providing our members with valuable tools and resources to equip them for ministry leadership. Our network of ministry experts share insights and practical knowledge as we equip women who are leading in ministry to develop their leadership skills. If you are always looking for tools and ideas specific to leading in ministry, we would love to welcome you to membership! Just click here to learn more about joining. Did you know we are a service of Jennifer Rothschild Ministries? 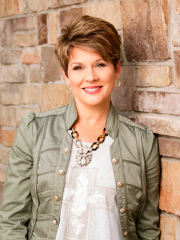 Author and speaker, Jennifer Rothschild, founded womensministry.net in 1998 to serve women’s ministry leaders by equipping them in their multi-faceted role. Over time, we have evolved to a member-based website providing ideas, tools and resources for ministry leaders and equipping women of all ages to effectively lead in ministry. We love to encourage and equip women in ministry! That’s why we’ve put together some free resources just for you. Find free resources for leaders on our womensministry.net site, including our free Tip of the Week blog and email.